"Your course was a phenomenal help. Just hearing from others who were going through the same thing was amazing." 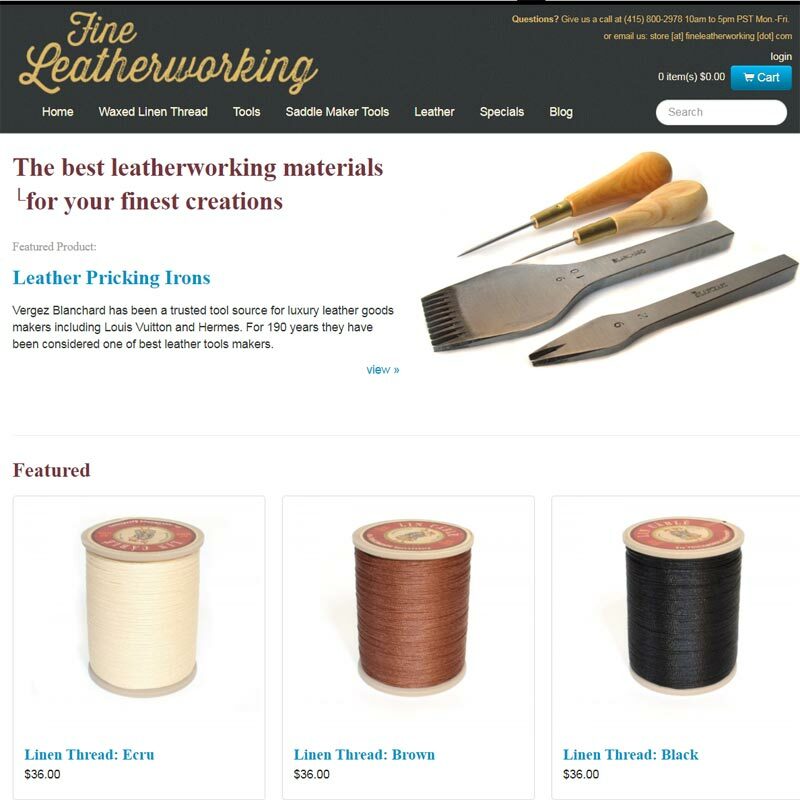 Sean started his online store selling leather working supplies and managed to make over 100K in a little over a year and a half. "It's invaluable to have a mentor who has been there before and willing to share his knowledge with you." "The knowledge and guidance that I received from this course has been invaluable and I would highly recommend it to anyone seeking to start an online business." Student Success Stories And Does The Class Really Work? Instead of making you read through an endlessly long sales page, I'm going to cut straight to the chase. Does the class really work and can I really succeed? Are there other successful students in the course? What percentage of your students are successful? But instead of showing you screen shots of income reports (that can easily be faked) or empty testimonials, I'm going to take you on a tour of real live 6 and 7 figure stores that my students are currently running. In this video, I open up my student online store portfolio of shops that are generating 6 and 7 figures online. 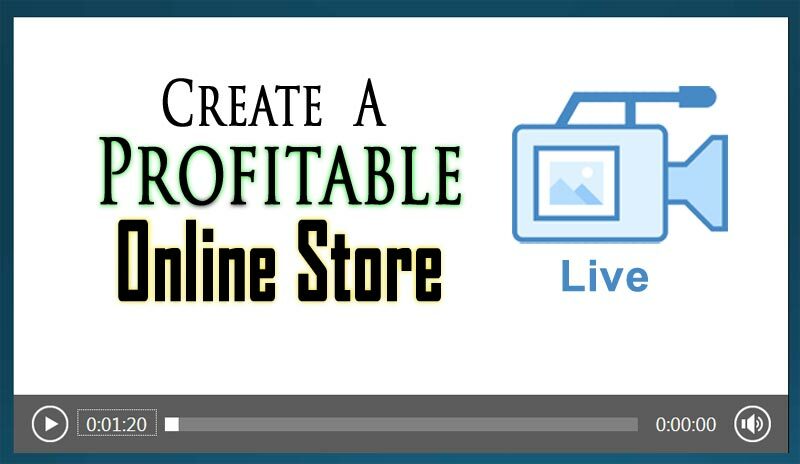 Create A Profitable Online Store is more than just a course. It's a community of like-minded entrepreneurs that work together to help each other succeed. 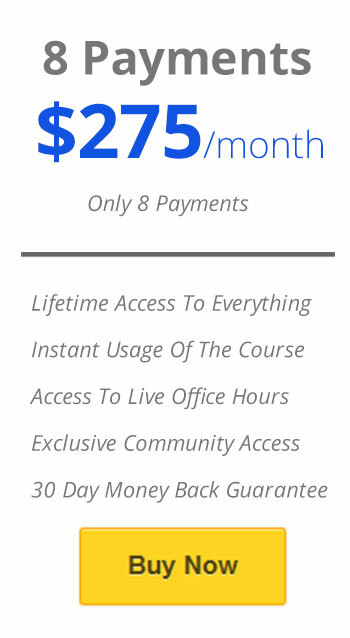 Upon signup, you get lifetime unlimited access to all of the course materials, 24/7 email support and weekly live office hours. My primary goal is to help you succeed and you have access to all of the resources provided in the class forever at one fixed price. There are zero upsells and I will never try to nickel and dime you. Because I run my own online store and sell on Amazon, I'm always up to date on the latest ecommerce trends. And if you follow my blog, you know that I always get my hands dirty. Over the years, I've implemented every aspect of my online store. I run all of my own marketing and advertising. I write my own plugins. Because I have an electrical engineering degree from Stanford University, I can help you with any technical issues that may arise with your ecommerce business in addition to marketing and sales. Through running my podcast and my annual ecommerce conference for the past several years, I've also developed a large rolodex of entrepreneurs that I periodically invite to speak during office hours. Finally, this is the only course that covers BOTH selling on Amazon and your online store with a focus on building your brand. All of the course materials are updated on a weekly basis and always up to date. Learn how to find profitable products to sell. I personally review all student niches upon request so you'll be confident before you begin. Learn how to manufacture your own products from overseas at low prices, where to find dropshippers and how to avoid the scammers and middlemen. Learn how to launch a successful product on Amazon and validate your niche. I've had students make 7 figures on this step alone! Profitable Products To Sell Online - Look over my shoulder as I show you exactly how I brainstorm products to sell and perform keyword research for potential niches. Learn all of the tools and metrics I use to evaluate a niche for profitability. By the time you decide to pull the trigger, you will be confident that your business idea will be a good one. Reliable Suppliers To Source Your Products - Learn how to import goods from overseas at low prices, where to find dropshippers and how to avoid the scammers and middlemen. I will provide you with the exact scripts that I use to contact vendors for the first time. A High Converting Website That Ranks In Search - Learn the exact techniques that I use to convince a customer to buy once they have landed on your website. Discover how to obtain quality backlinks and optimize the pages on your site for maximum search visibility. Amazon Products That Sell On Autopilot - Learn how to leverage one of the largest ecommerce marketplaces in the world. Even though you are creating your own branded website, you should also take advantage of pre-existing sales channels to maximize your profits. I will teach you how to make sales on Amazon as you build up your own online brand. Knowledge Of How To Drive Your Own Traffic - Learn how to market your store and make sales right away with Facebook ads, Google Adwords and the comparison shopping engines. Leverage the power of Facebook, Instagram, Pinterest and other marketing tactics to obtain free traffic to your online store. As soon as you sign up, you will automatically receive access to a comprehensive library of videos which are split up into 15 different modules each consisting of many lessons each. Each lesson details exactly what tasks you should carry out to move you closer to making an income with your online store. New videos are added on a weekly basis. Let's face it. Every business is different and will have its own unique set of challenges. While the videos in the course do a great job of teaching you how to run a profitable online store, it's impossible to cover every possible business scenario and there will always be certain aspects of your business that ONLY apply to you. That is why it's crucial to have access to a real live person to help you with your own unique set of challenges. As part of the course, you will be invited to our live office hours where you can ask your questions up front or live on the call. Also during office hours, new lessons are presented on a regular basis to ensure that the course material never goes stale. As an example, the search engine optimization module has been updated many times to address the constantly changing nature of search engine algorithms. Don't worry if you cannot make the office hours live, they will all be recorded and available for later viewing. PLUS you'll have instant access to all the previous recorded office hours as well. 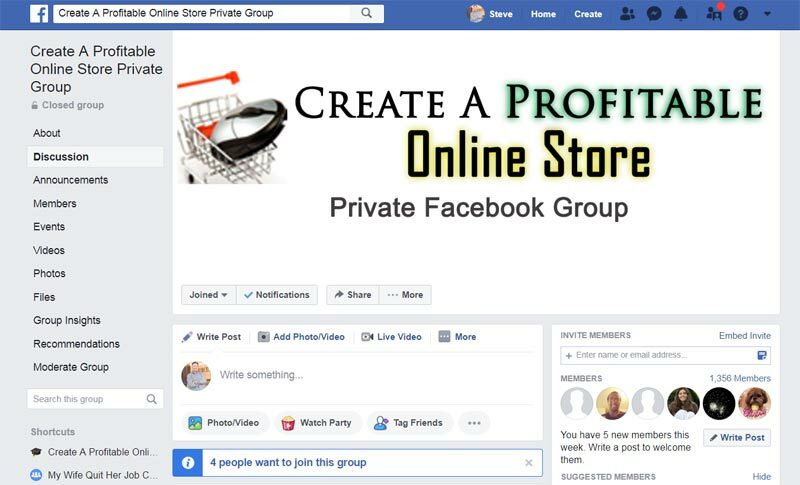 Finally, you'll have immediate access to our private members group where you can literally ask any question you wish on the subjects of eCommerce and online marketing. Plus, you can see all the questions that other members have posted as well. We personally monitor the Facebook and forum each day and provide answers to all questions. All students have access to our private email address, so you can ask us any questions in private. Throughout the course, we will constantly be adapting the material based on your questions and offer extra lessons. 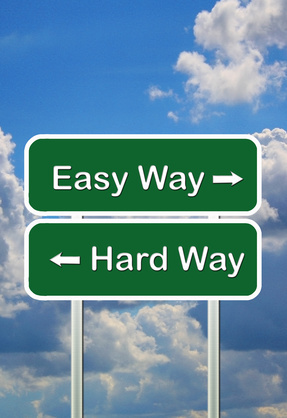 After all, we want to tailor the course based on your specific circumstances. As part of the course, I've invited some of the most successful online entrepreneurs, world-class authors, CEOs, and marketing experts to give live lectures to the students in the class. These are the people I turn to for help and they share their confidential street-tested strategies and inner psychology on marketing, sales and how to grow your ecommerce business. If you're in the market for a brand new car, then you would expect to be able to take it for a test drive first right? But for some reason, most online courses don't ever let you take a peek under the hood prior to putting down your hard earned cash. So in the short video below, I provide a complete walk through of all of the essential features of the class and highlight the main factors that set my online course apart from all of the other choices out there. At this point, you probably have a lot of questions about the course. But instead of answering them myself, I'm going to let my existing students in the class do most of the talking. I know many of you are probably skeptical about your ability to start a successful online business. But as you read the student stories below, keep in mind that these students signed up for my class without knowing anything about website design and had absolutely no experience running a store whatsoever. Now they all run online businesses that they are proud to call their own! So please, try to forget everything that you've read in forums, what your family and friends have told you, and especially what the media has conditioned you to believe.If you are willing to put in the work, then you too can run a successful online business with the proper guidance and education. And bottom line, what most people really need is someone to hold their hand through the process and strong support from a community of like minded entrepreneurs. So if you're ready, my students and I will now squash all of your concerns about starting your own business. Do You Need A Lot Of Money To Begin? Most people think that starting their own business has to be an expensive and risky endeavor. While it is true that many successful entrepreneurs self-fund their startups by racking up massive debt on their credit cards, it definitely does not have to be that way. Thanks to the Internet, starting your own online business is as inexpensive and risk free as ever. One of the most amazing aspects of running an online business rather than a traditional brick and mortar store is that you can reach hundreds of millions of potential customers 24 hours a day, 7 days a week. By setting up a computer to manage your storefront for you, you can create a business that can be run for as little as $4.95 a month while freeing up your time to do things that you actually enjoy. The best part about opening a store online is that your business will continue to grow as word of mouth travels about your store and you become further entrenched in the search engines. Every year since the launch of our online store, our business has increased in the double and triple digits. 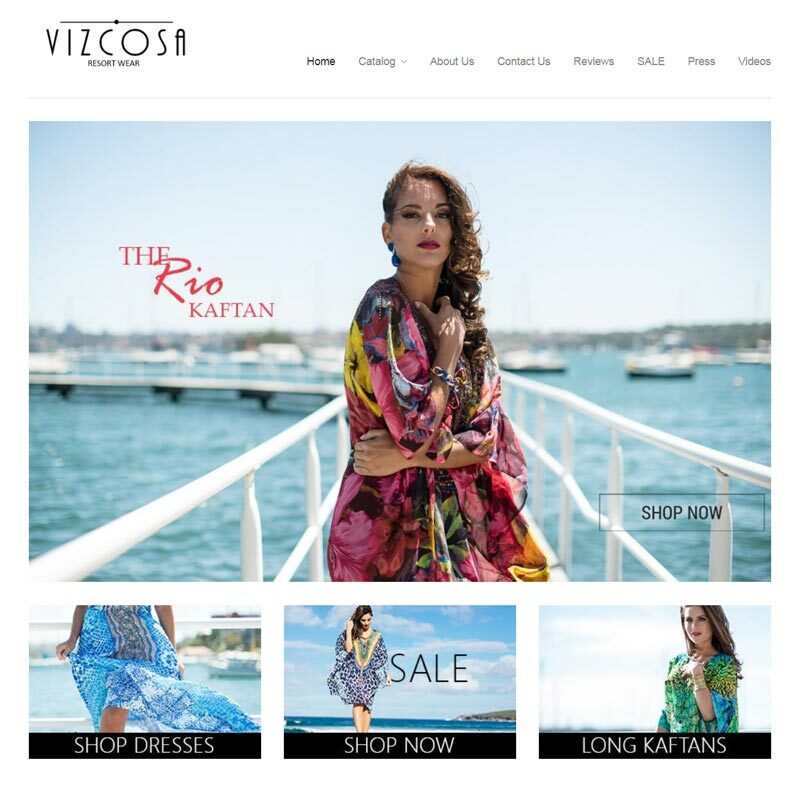 Carmen signed up for Create A Profitable Online Store and started her own online store selling kaftans and resort wear in Australia on a very limited budget. She got her first sale within a week and started making 4 figures/week within 4 months. Today she runs a 6 figure business WITHOUT Amazon. Here's what she has to say about the course. I could not thank Steve enough for all the lessons learned on the profitable online store course and my wife quit her job blog. You have provided me with the inspiration and technical knowledge to find my niche and the correct product to sell, and thanks to your course and support I have not only found my product but also started to sell it. Within my first week of business I made my first sale and revenue has continued to grow from there at a steady pace, month after month. I still have a lot to learn, but the good thing is that I can go back to the videos and tutorials at my own pace based on to the stage of my business that I am at. This course has been one of the best investments in my entrepreneurial journey, you have continued to provide support and constant value along the way. Thanks Steve for putting together such an amazing program! To anyone looking for a coach who answers your questions live once a week, for a supporting community and a Blog full of value directed specifically to ecommerce, look no further than profitable online store. I am very close to achieving my financial goals and with the help anyone can do the same! Do You Need To Be Tech Savvy To Get Started? Most people who are new to the web are afraid of the technical aspects of launching a website. In fact before I started my online store, I used to think that starting a website was too difficult as well. Then one day, a close friend of mine showed me his website where he was selling photos online. I was so thoroughly impressed with his online store that I asked him who he used to design his website. When he told me that he did it all by himself, I was astounded because he did not know anything about web design. The truth is that all of the software is already written for you and it is completely free and easy to install. You can literally launch a full blown and fully functional shopping cart website with just a few clicks of your mouse. 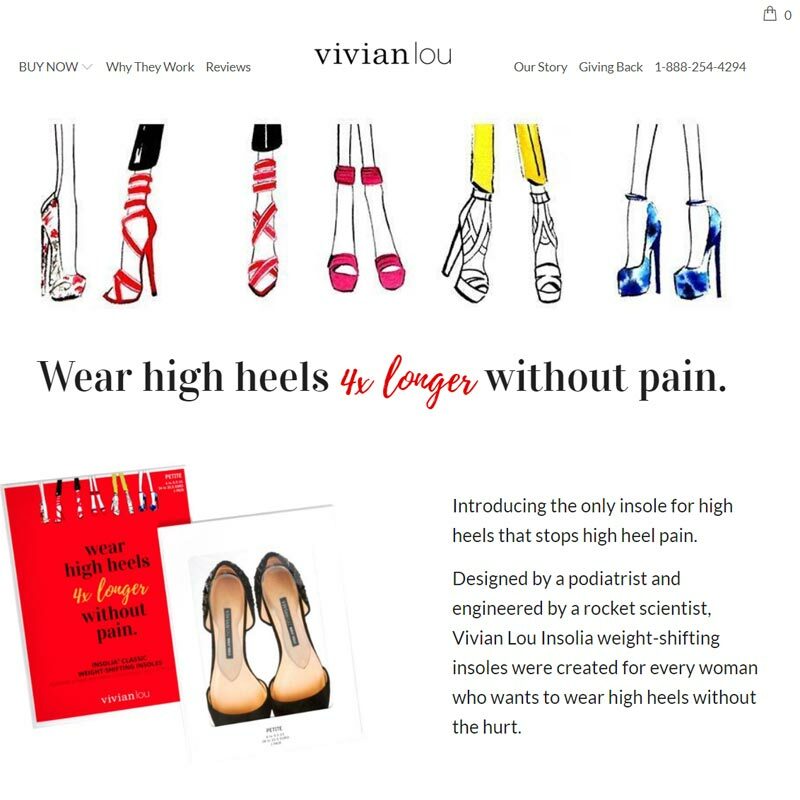 Even though Abby knew very little about website design prior to signing up for Create A Profitable Online Store, she created the first iteration of her online store selling high heel insoles all by herself. Then, she went on to make over $100K/month over the holiday season during the first year of launching her business! Today, she makes 7 figures per year. With so many people running online stores these days, it's surprising how little information there is for those just getting started or looking to take their store to the next level. One can very quickly get overwhelmed, but Steve's Create A Profitable Online Store Course simplifies how to get it all done. He's approachable, honest, accessible and kind. This is THE course for anyone looking to start and grow an online store! Very highly recommend. Is It Too Hard To Find Profitable Products To Sell? It's true. Finding products to sell by using the search engines and the Internet is difficult to do. Why? It's because the Internet is full of scammers and middlemen who pretend to be wholesalers and are just waiting to rip you off. In fact, looking online for products to sell using the search engines is probably the worst way to find wholesale vendors for your online store. The truth is that most legit wholesalers don't advertise online and rarely advertise at all. They don't advertise because they don't want every little mom and pop store contacting them to ask to sell their products. Instead, most wholesalers only want to deal with legit, honest businesses that can sell in sufficient volumes. I will teach you how to find legit wholesalers for your store and how to distinguish the true distributors from the scammers so you can buy your goods at rock bottom prices. For those of you who do not want to store your own goods, I will also teach you how to run a dropshipped online store without having to carry any inventory whatsoever! 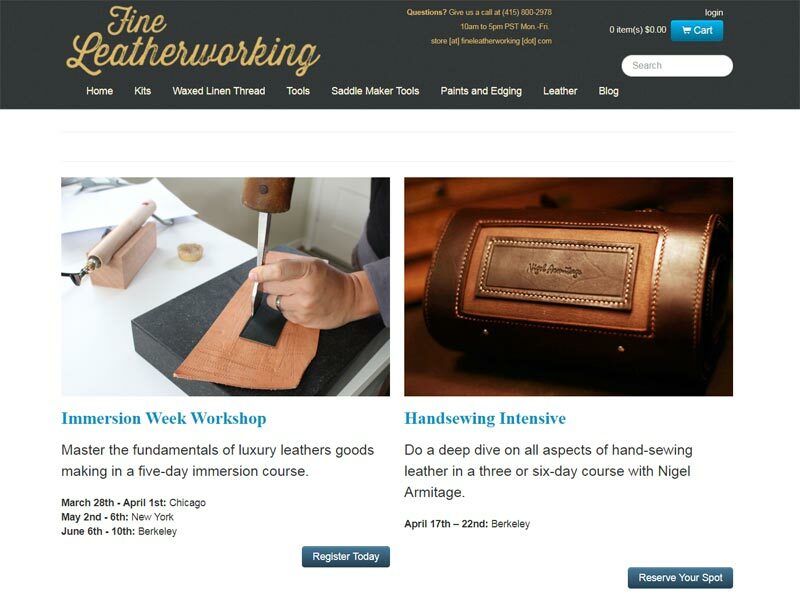 Sean signed up for Create A Profitable Online Store and started his own online store selling leather working supplies. And in just a year and a half, his store now makes six figures per year. Here's what he has to say about the course. Steve's course helped us to expedite the process of getting our online store up and running. Instead of having to figure out what to do next and stumble around between different things to improve, his course provides an effective and efficient path to launching your business. Do You Need To Hit A Home Run With Your Business? When most people think about starting a company, they immediately think about the Googles, the Facebooks and the Amazons of the world. The reality is that you don't need to set your sights on the next big thing. You don't have to aim for the fences or create the next multi-billion dollar company. In fact, the Create A Profitable Online Store course advocates the complete opposite mindset. This course is all about teaching you how to create an online business that suits your lifestyle so you can spend more time with your friends and family and focus on doing the things that you love. If your end goal is to earn enough money so you can quit your day job and be your own boss, you only have to go for a base hit. Your business doesn't have to be the next big thing and aiming small doesn't preclude you from making a lot of money either. 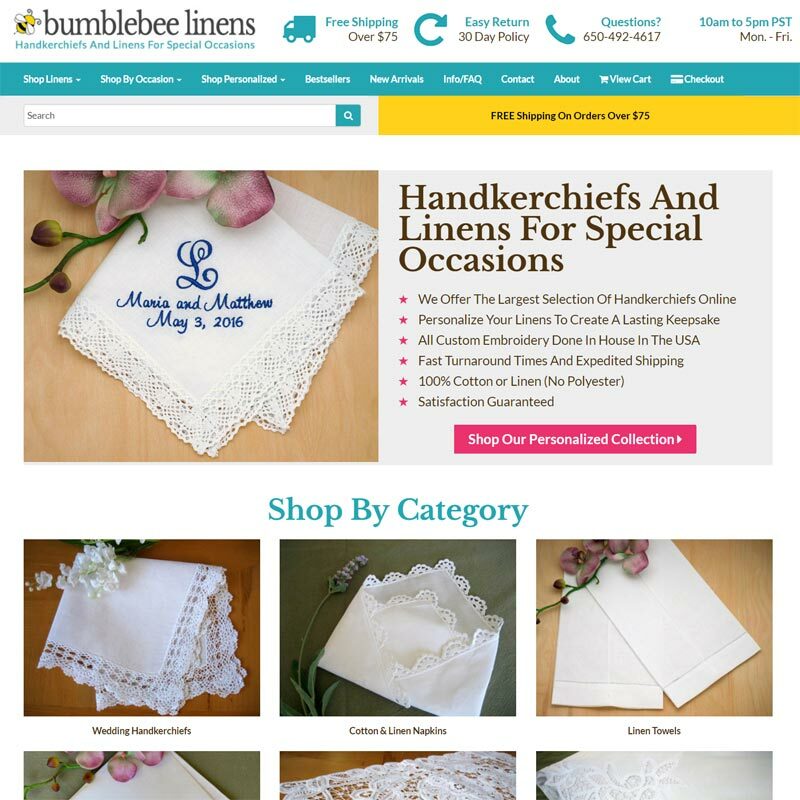 Today, our online business selling customized handkerchiefs for special occasions caters to a very small niche yet it is extremely profitable. In fact, our online store brings in much more money today than both of our day jobs ever did combined. 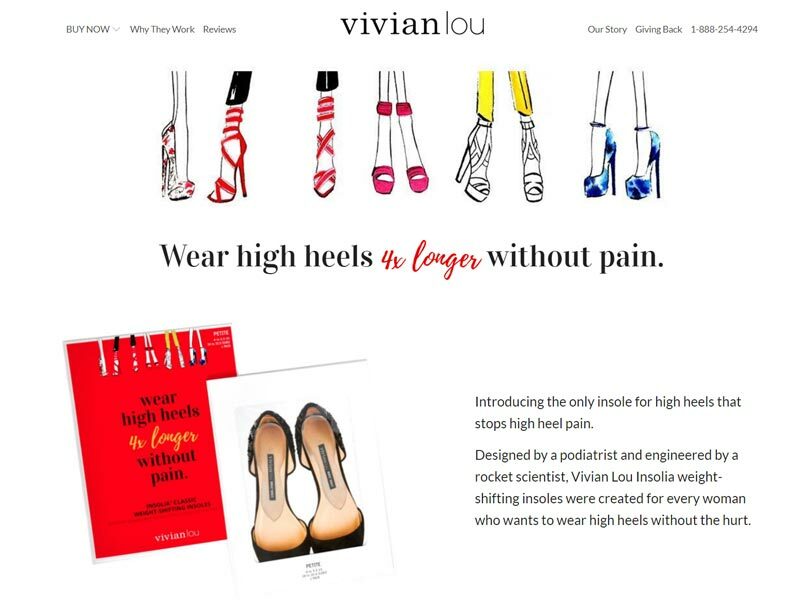 We've also been featured in many publications such as Brides, Martha Stewart Weddings and Real Simple magazine. Recently, we were on the NBC Today Show. Running the business requires only a few hours of work each day. And most importantly, it allows my wife to stay at home with the kids, call the shots and set her own schedule. The key to running a successful ecommerce business is to find a niche that has just enough demand to suit your income goals without being too competitive. And a significant portion of the course is dedicated towards helping you find the right products to sell. How Much Time Will It Take To Start A Business? I've got two kids, work a full time job, run a blog, run an online store and run a course on how to create an online store. But you know what? I'm not superman. In fact I'm quite lazy. The key is to break your tasks down into small pieces that can be accomplished in 20-30 minutes. Opening an online store is all about doing a little bit each day and setting your sights on your long term goals. If you were to start an online store today, I would say that you should be willing to devote at least 5 hours a week if you are serious about starting your own business. Joining the course will make sure you stay motivated. As soon as you sign up, you will instantly become a member of an exclusive group of like minded entrepreneurs. Through the discussion forums, you can bounce your ideas off of other store owners and share your thoughts and experiences in a highly supportive environment. 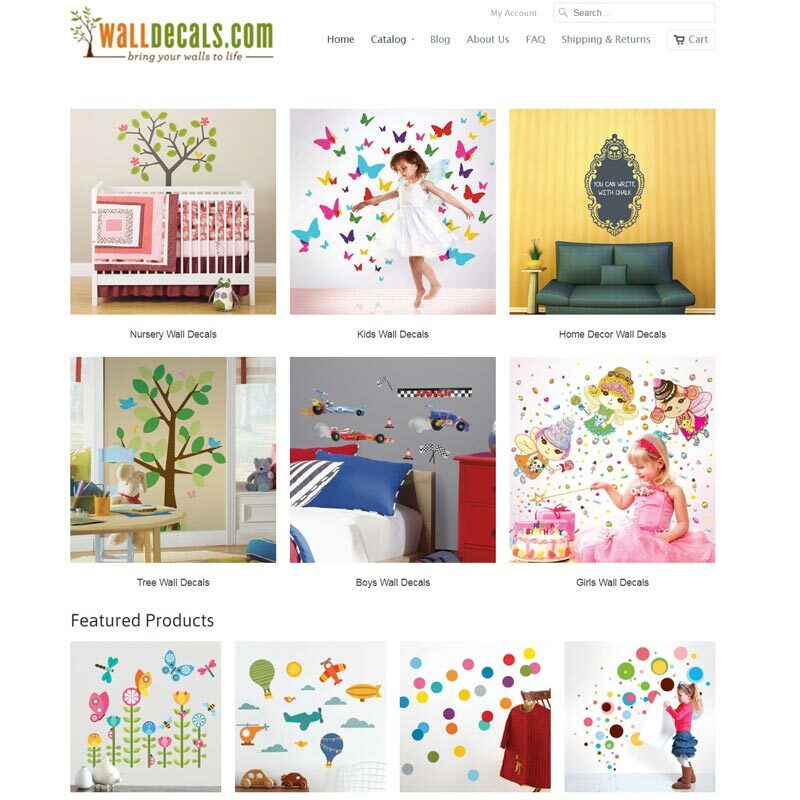 Tina signed up for Create A Profitable Online Store and started her own online store selling Childrens Wall Decals. 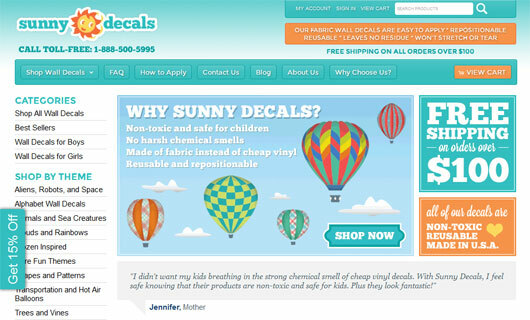 Even though she has 3 kids under the age of 4 and a full time job, she still managed to create a beautiful looking online store in a short period of time. Steve's course has been a God send! After taking the Create A Profitable Online Store course, I was able to launch my own online baby decor store in weeks instead of months. If you value your time this is huge! Plus it helped me evaluate and decide on a what products to sell, choose an ecommerce software, and find a drop ship supplier with absolute confidence! I would not hesitate to recommend Profitable Online Store to anyone considering taking the plunge of starting an ecommerce site. The ramp up time it saves is invaluable and it helped me avoid 90% of the mistakes that I would have made on my own. Do You Need A Large Budget For Marketing? You absolutely do NOT need a large marketing budget at all. The big media conglomerates don't control advertising anymore. In fact, there are many effective methods of marketing and advertising that are absolutely free. In my course, I will walk you through many different ways to market your online business for no money at all. In addition, I will teach you how to achieve a high search ranking for your website in your targeted niche. The beauty of running a store online is that you can easily track the effectiveness of all of your marketing campaigns. I will teach you how to set up a Google Analytics account to measure all aspects of your website so that you can easily fine tune and improve your conversion rate. Finally, I will turn you into a pay per click marketing expert by teaching you the most effective way to use Google Adwords, Facebook Ads, Google Shopping, Bing and Pinterest for your online store. 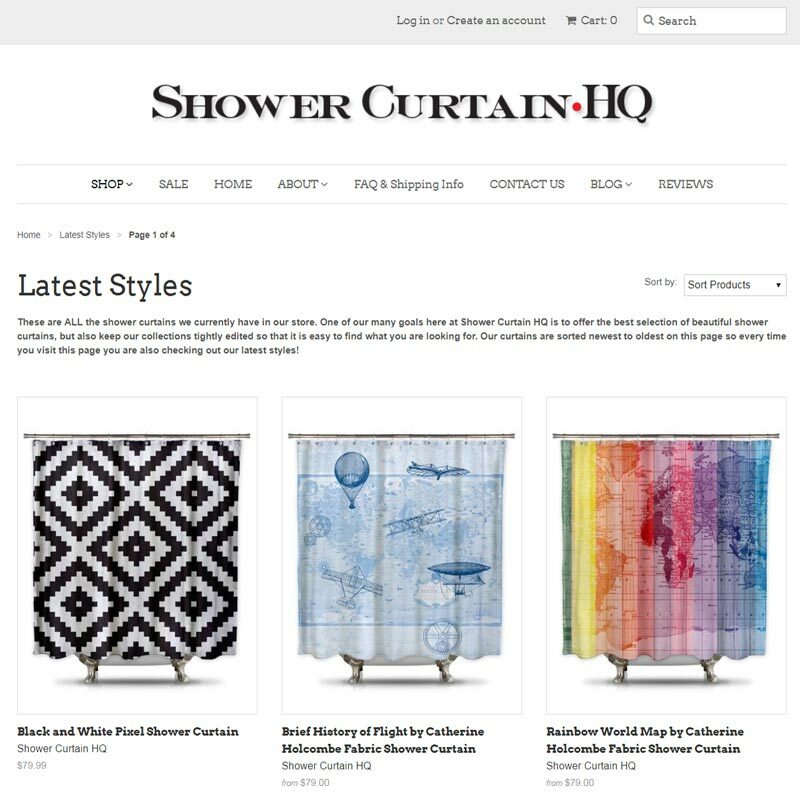 Jennifer signed up for Create A Profitable Online Store and started her own online store selling unique shower curtains. Jennifer dropships a lot of her products and she has managed to make sales without spending a penny on advertising by leveraging social media and various free online tools. Today, she makes 50K/month! . I have always had a dream to own my own business and work from home so I could have more flexibility then my corporate job allows. I read Steve's blog for about a year before buying his course. I am so glad I did! If you find value in Steve's blog and his podcast, you will love his course. The step by step details on how to get started, find a niche, source inventory, set up a website and market your store are easy to understand, extremely organized and motivating. What is also great is if there is something you do not understand in any of the instructional videos, Steve is available every Wednesday where you can ask him whatever you want about your business. It is like having your own personal consultant that can give great advice because he is running his own successful e-commerce store! Another asset the course offers is the forum where you can bounce ideas off of Steve and other like-minded students that are also taking the course. In addition to that, we all help each other by promoting each other's stores on our own social media platforms. You also have the opportunity to join mastermind groups within the course as well. Steve's course is constantly evolving to keep up the ever-changing world of e-commerce. For example, a new direction the course is going is that Steve is now teaching how to successfully sell on Amazon to test new products and grow your brand! I also LOVE that it the course is a one time payment with a LIFETIME membership. I am not a fan of courses that charge membership fees monthly. 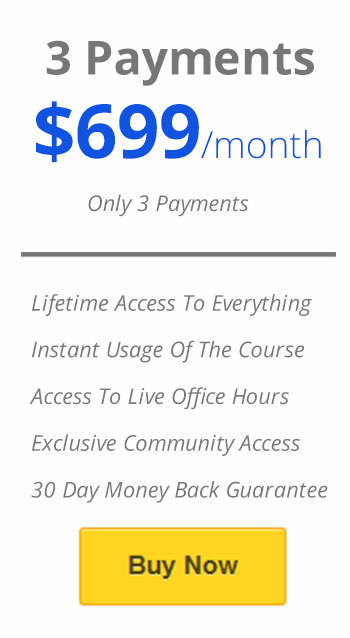 Steve's course is a one and done payment, and then you have it for life. There are MANY courses out there that charge a lot more money and offer a lot less value and content. There is still much I need to learn in the world of e-commerce, but a few months after my store went live, I had made enough sales where the course paid for itself. I have purchased a few other online courses and I can honestly say that Steve's course is by far the best. The only way you will loose money on this course is if you buy it and take no action at all. Can You Figure Everything Out Yourself By Surfing The Web? While there's a ton of information freely available on the Internet, trying to digest all of the different strategies, opinions and the 'latest and greatest' ways to start a profitable online business only leads to information overload. The "Create A Profitable Online Store" course only teaches you what you need to know and leaves out the fluff. It's simple, intuitive, easy to follow and just what you need to launch your store without making any silly mistakes. More importantly, how many so-called experts out there actually run their own online store and practice what they preach? Why would you want to follow someone who doesn't already walk the talk and have a highly successful online store to prove it? Once you sign up for the course, I will be available to answer your questions should you ever get stuck. In addition, you can share your experiences with other students in the class through our online forums. Tracey signed up for Create A Profitable Online Store and started her own online store selling handmade beaded jewelry. One of the biggest reasons she signed up for the course was to interact with other like-minded entrepreneurs and to share her ideas. She also wanted a place where she could ask questions and obtain solid business advice. I was lucky to find Steve as a mentor when I started the journey to start my own business. I took his course, which provided a huge amount of incredibly helpful, on-point information. I was able to use the steps in his course to logically and systematically start my own online business. Steve answered questions and provided help and encouragement through the whole process. I learnt so much! and now sales are coming in. Starting my own business was a dream of mine for a long time. Now I am working with indigenous artisans in Ecuador, introducing their handmade, traditional goods to an international marketplace. My little fair trade shop is making a difference in the quality of people's lives. Its really amazing! Thanks Steve! Do You Have To Import Your Products From China? Can You Source Domestically? The reason most online store owners source their products from China is because the labor costs are much cheaper in Asia. As a result, any product that requires a high amount of human labor will tend to be less expensive in China. However, sourcing your products from your home country causes far less headaches and it can be economical as well. This is why I teach all of my students how to source domestically as well as from Asia. In the course, you'll find detailed lessons on how to find suppliers in China as well as in the US. I'll also teach you how to find dropship vendors so you won't have to carry inventory. Anna signed up for Create A Profitable Online Store and started her own online store selling kids messenger bags. And what's cool about Anna is that she designs her own bags in the United States! I highly recommend Steve's course to anyone interested in starting an online business. In fact, if you're new to ecommerce My Wife Quit Her Job should be the first "business course" you take. 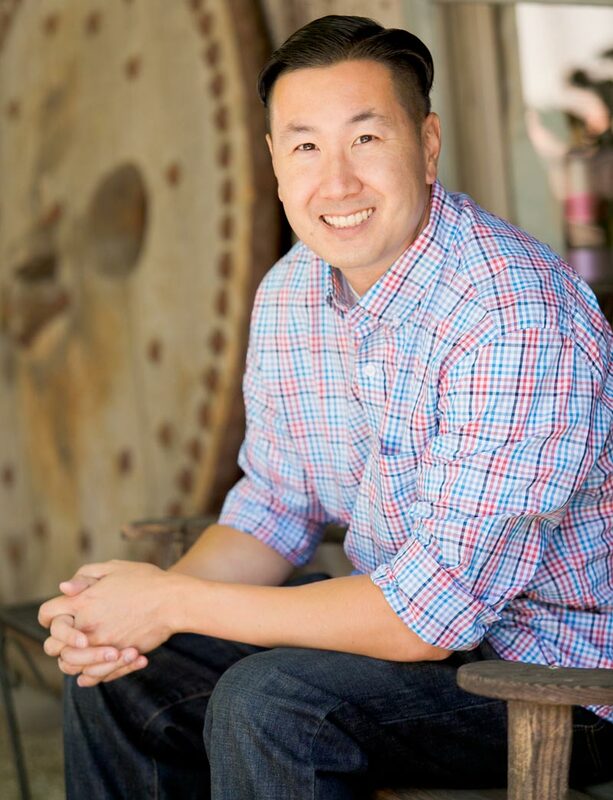 Steve has gathered a tremendous amount of first-hand data in online commerce. 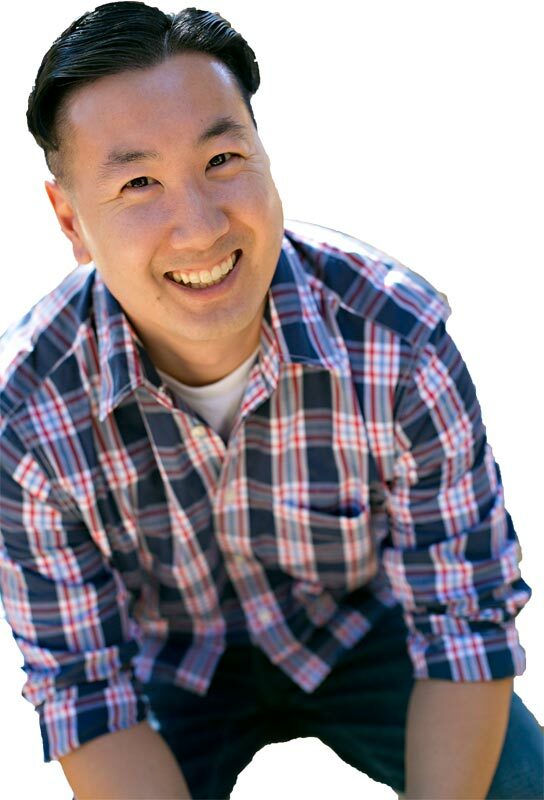 His knowledge of SEO and software ecommerce tools is expansive and up-to-date. What I love best about Steve is his disciplined approach to running a business. I'm sure it's what makes him so successful. Steve is always testing new business hypotheses, measuring and carefully evaluating his results. His first-hand ecommerce knowledge and advice is grounded in facts not just fluff. His class is not just a thorough step-by-step ecommerce set up guide; you also get big picture predictions that are so helpful to have in this fast-changing space. When you take his course you gain not only a great teacher and a business mentor - you also become part of a community of motivated online business owners. Are You Too Young Or Too Old To Start A Business? After running my course for quite a while now, I'm continually surprised by how students of all ages are able to pick up and understand the material so quickly. A handful of my students are well over the age of 60 years old. And at the other end of the spectrum, I have students that are as young as 14 years old. It just goes to show that if you have the desire to learn, then it doesn't matter how old you are. It doesn't matter if you don't know anything about web design. It doesn't matter if you've never started a business before. Most of the students that join my class don't have any experience at all and it's amazing to discover what you can accomplish if you put your mind to it. 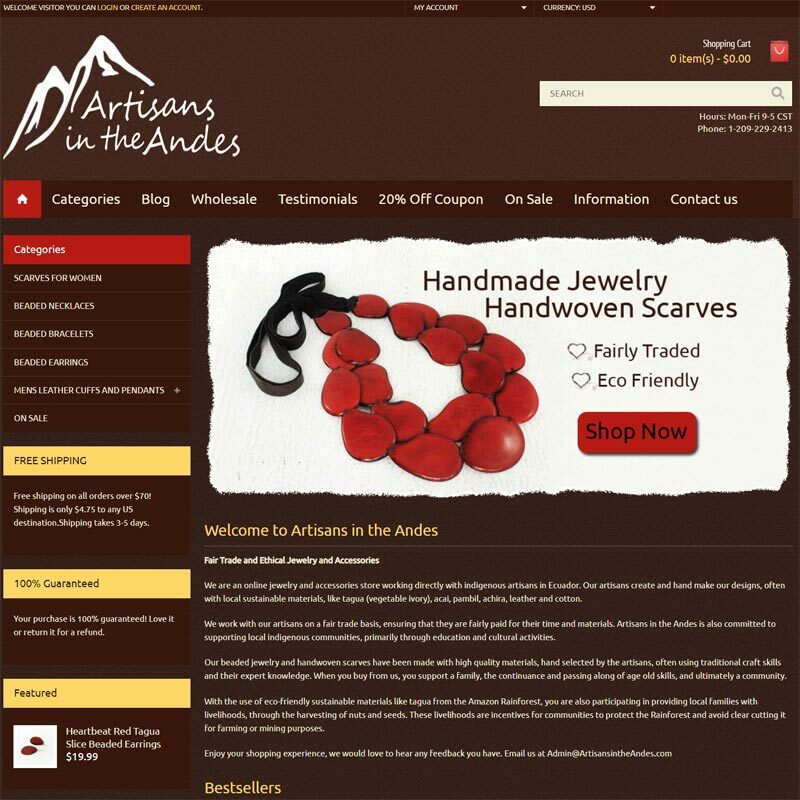 Nik signed up for Create A Profitable Online Store and started his own online store selling handwoven bracelets from Ecuador. And believe it or not Nik is only 14 years old! Within several months of launching, he managed to make over $10,000! What's interesting about Nik is that he started his store in order to raise money to help pay for school and to fund his trip with Me To We, an organization that sends youth to help with aid projects relating to clean drinking water, education, sustainable income, and health care in developing countries around the world. This is an email that I received from Nik's mom about his experience. 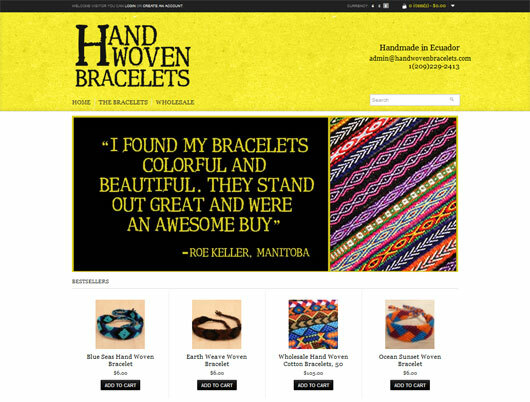 With the guidance of your videos, I helped my 14 yr old son set up a shop called HandwovenBracelets.com - he didn't have any money to spend on it and could only afford to accept payment via Paypal. He set it up hoping to raise money for a humanitarian trip he is going on through Me to We (a sister company to Save the Children). He set it up a couple of months ago but didn't really do much marketing, so he hadn't been getting any hits and had no sales at all. This week, the deadline for the final payment loomed, and suddenly out of the blue he got an order for 800 bracelets and made enough money to cover his entire portion of the trip. The very next day, he got a call saying that he had been granted a scholarship to help pay part of the trip fees, but he asked that it be given to some other kid who needed it more, because he had earned enough money through his shop. Do You Need To Be A Computer Whiz To Sell Online? If you are completely new to creating websites, managing an online store might seem like a daunting task. And most people have this misconception that you either have to figure things out all by yourself or pay someone a hefty sum of money to help you out. This is completely false. When it comes to creating an ecommerce store, there are many solutions out there that encompass all different skill levels. As part of the course, I will help you discover which solution you are most comfortable with depending on the level of exposure you want to the technical aspects of running a store. If you want to learn more about how to run a server and how websites work, then great! If you just want to get your store up and running and focus on selling, then that's fine as well. For those of you who don't want to deal with the tech, there are full blown ecommerce solutions available that pretty much handle everything for you for as little as $25/month. 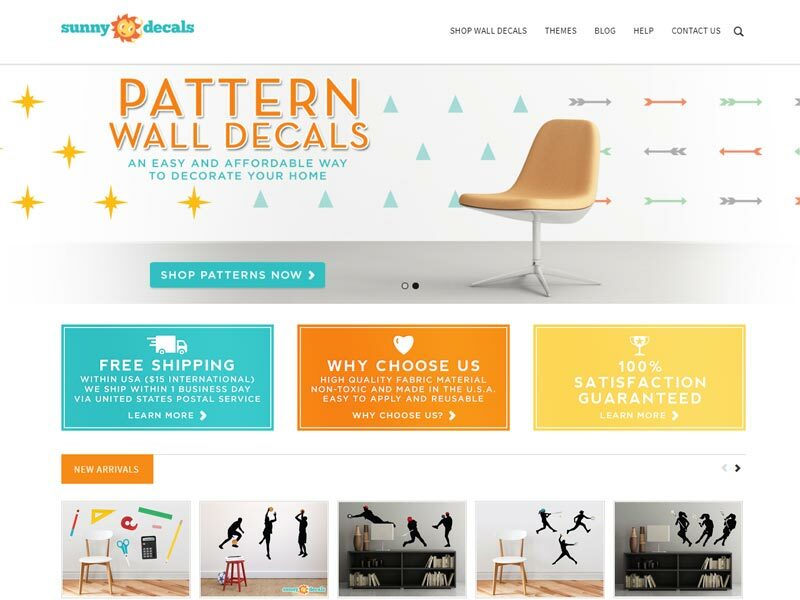 Ron signed up for Create A Profitable Online Store and started his own online store selling fabric wall decals. Ron did not want to deal with the technical aspects of running a store so he went with a fully hosted shopping cart solution. Here is what he has to say about the course. When my wife and I decided that we wanted to start a new online business we started by doing some research online. Although my wife has a background in web design and I have a background in marketing, neither one of us had a clue about how to start an e-commerce store. We got frustrated looking online for answers because it's time consuming and we just felt like we were getting more confused. When my wife found "How to Create a Profitable Store Online" I was hesitant at first to spend the money for the course but I'm so glad that I did. I was expecting to download a manual and watch some videos online, but what I received far exceeded my expectations. What I value most about the course is the live weekly office hours where Steve provides fresh new material and he takes the time to answer everyone's questions. I was also able to email him when I had questions and he always responded promptly. When someone starts a new business venture (especially in a field that they are not very familiar with), it's a blessing to have a mentor guide you through the process. The knowledge and guidance that I received from this course has been invaluable and I would highly recommend it to anyone seeking to start an online business. Should You Sign Up If You Already Have An Online Store? Currently, I have many students in the class who started their own online shops prior to signing up. If your store is having problems with getting traffic, marketing, ranking in the search engines or converting customers, this course will help you improve your sales. Many existing shopowners come in with the misconception that some of the early stage lessons in the course may not apply if you already have a store and this is partly true. After all, if you already have your niche and vendors for your shop, why would you need to learn more about it? But in reality, a lot of the aspects of running a profitable online store are intertwined. For example, if you have chosen to target extremely competitive keywords, your search engine rankings will tend to be very poor even if you are a link building master. If you are sourcing your products from middlemen, your profits will tend to be lower. If you've picked a niche that is crowded, you will need to do some extra work in order to convert customers at a high percentage. For students with existing shops, I schedule a full video website critique to point out the areas of improvement for their existing site after they've had a chance to review the course materials. All reviews are recorded, include custom feedback about their shops and are available to be reviewed at any time. 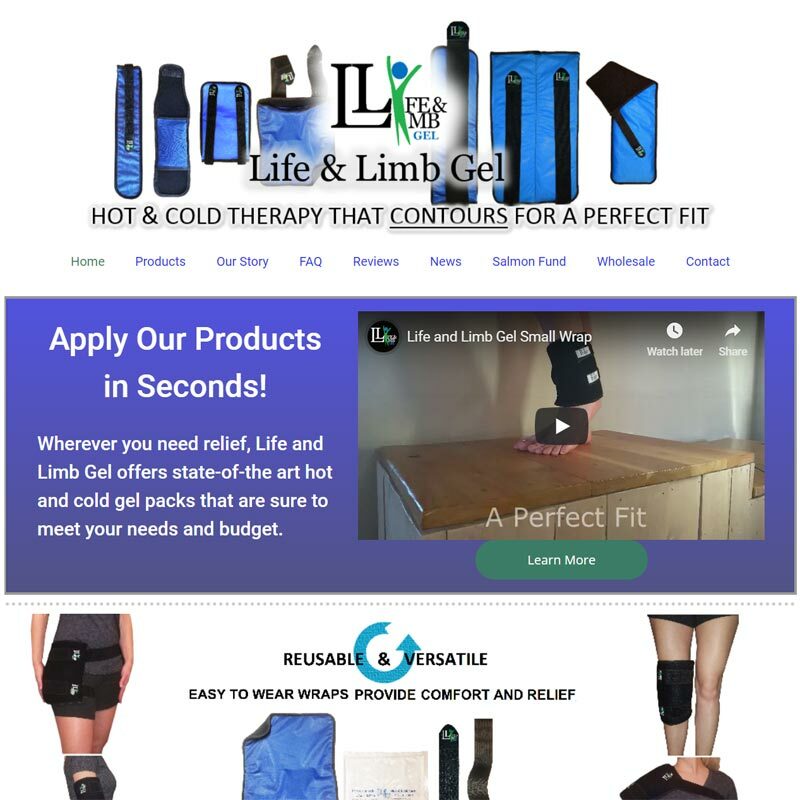 Chelsea signed up for Create A Profitable Online Store and started an own online store selling hot/cold theraphy packs. She already had a website which needed some work, so I helped her redesign her entire store! Today, she runs a healthy 6 figure business. Here is what she has to say about the course. With a very competitive niche, I originally felt powerless to compete as a little mom-and-pop-shop and focused my efforts on third party marketplaces. Then I took Steve's class and started owning my own brand. My site now generates steady sales organically! Does Your Course Work For People Outside The United States? I have students in my class from all over the world including Canada, South America, Europe, Australia and even Saudi Arabia. Outside of the module on making your business legal, everything else applies to all countries. In the grand scheme of things, the legal aspects of starting a business (which is different everywhere) is the easy part because it's well documented. You could go pick up a book and figure it out. The hard part is finding the right niche, getting customers in the door and creating a high converting website. Most of the international students in my class start out by selling in their own country and then branch out to larger markets like the United States. 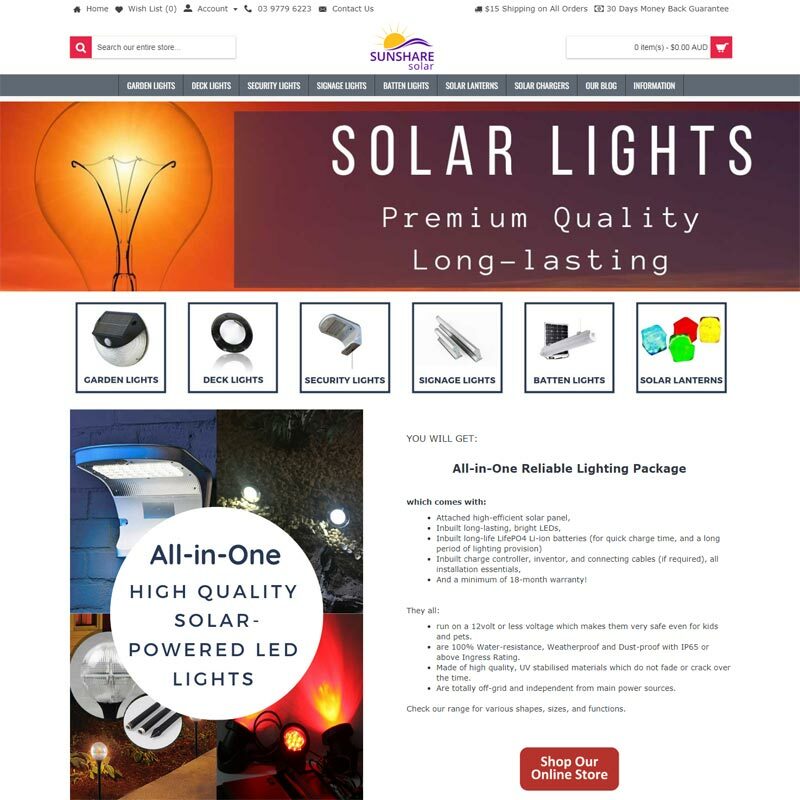 Saba signed up for Create A Profitable Online Store and started an own online store selling solar lights in Australia. Today, she makes 4 figures per month. 3rd of Aug 2015, the first day that I've been officially unemployed after 15 years of full time working, I opened a browser and typed "how to start an online shop?" and among the results was a blog from 'My Wife Quit Her Job' with a link to a 5-days free course to learn the essentials about an online shop. I got much value out of that free course that I decided to register in Steve Chou's program: "Create A Profitable Online Store". After more than three years, I consider this decision and my investment in this course among the most successful thing that I have done for my business. Over the past three years, I took about 9 more courses; some in the same price range, some cheaper, and some more expensive. Honestly, there is not one that I am happy and satisfied with, except this one. I still come back to this course frequently, and I still get the same value (if not more) out of that as the time I started in 2015. Steve is genuine and authentic. He is honest. You are dealing with a human being, same as you and I, and not a voice over video. He cares about his students. He updates old material when needed and continually adds value with weekly lesson and blogs. I get enough value from the weekly classes that sometimes I wake up at 4 o'clock in the morning (considering the time difference) to participate. I know it's the best time for me to ask my questions. He'll answer all the questions from participants live in the class. I highly recommend this program to anyone who wants to start an online shop from scratch. It is a must if you haven't run an online shop before. It was the best course for me and the only one, as of this time, I ever recommended to my own friends. Thank you very much, Steve, for being so honest and real, and for sharing your knowledge and experiences. Please keep up your good work :)"
The "Create A Profitable Online Store" course materials are divided into distinct modules, each of which are composed of many lessons. Each lesson stands on its own and will provide you with clear, step by step instructions on how to proceed. Because ecommerce is constantly changing, new material is added to the class every single week. In addition, old, outdated content is pruned away on a regular basis. I often take student requests for new material to be covered as well. Learn about different types of online stores. Do you want to carry inventory? Do you want to dropship? How to spot and avoid being taken to the cleaners by middlemen and "pretend" wholesalers. 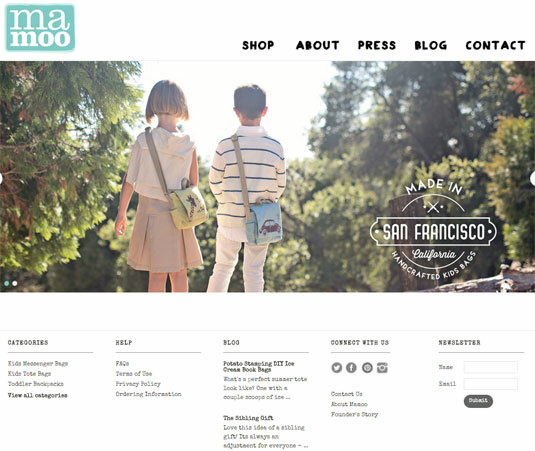 How to design a professional looking website without requiring an expert programmer. How to use Amazon to validate your niche before you invest a lot of money on product. What Would You Pay To Gain Access To This Step-by-Step Course On How To Build A Successful Online Store? 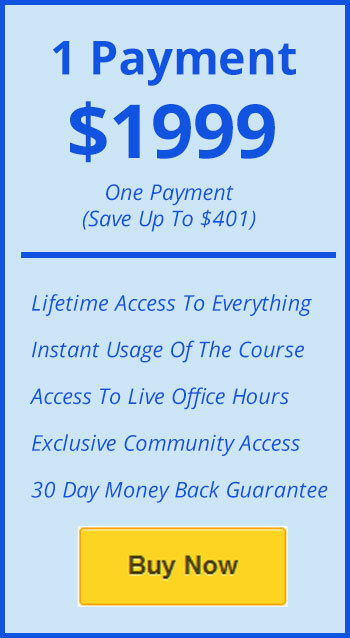 If you were to attend a weekend eCommerce seminar, it might cost you $1600 for just a few days of instruction. If you were to receive private business coaching from an instructor, it might cost you $500 an hour. Because this course contains a comprehensive tutorial of every aspect of what it takes to open and run a profitable online store, there are literally hundreds of hours worth of knowledge contained within each module. If I were to charge you by the hour for every hour of content in the course, then the cost would be ridiculously high. The truth is that I want to make this course available to as many people as possible and help you create your own online store in the fastest and easiest way possible. Seriously, opening an online store has made such a meaningful and powerful difference in my life that I want other people to have the same feeling of success and independence. For the most committed students who want live instruction as well as comprehensive course materials, I'm offering the full course deluxe package for only $1597. At only $1597, this is the cost of 3 hours of private consulting and you'll make the money back in a hurry once you successfully launch your online store. And the beauty is that you can take the course over and over again and review the material as much as you would like at your own pace. Most Importantly...Does The Course Really Work? Here's a very small sampling of the success stories in my class. Today there are over 3000 students in the course and the number of profitable online stores continues to grow! Lifetime access. Free updates for life. 30-day money back guarantee. 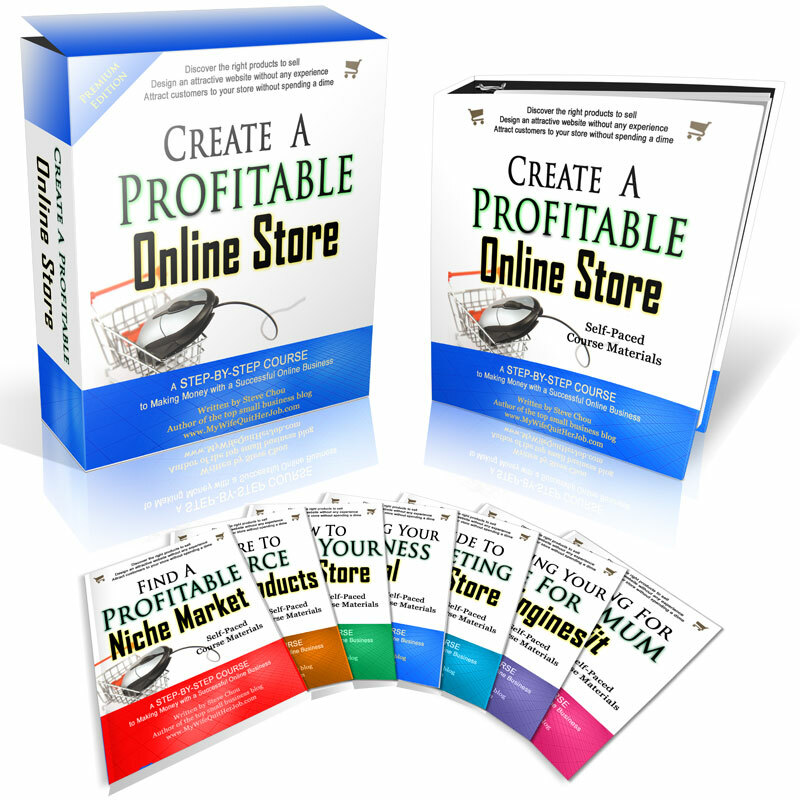 Become your own boss today and "Create a Profitable Online Store". These powerful and easy to understand tutorials will turn you into an expert and you'll have the peace of mind of having someone there to answer all of your questions. There's no need to say "yes" right now. Just say "maybe" and give the course a try. Personally, I doubt you'll ever want to get a refund. Because once you start going through the materials, you'll realize how straightforward it is to open a successful online store. I'm so confident that the "Create A Profitable Online Store" Program will be everything that you wished for and more and you can have all of the amazing benefits right now. Right now, you have 3 options. Your first option is simply doing "nothing." You can stick with the status quo and drag yourself to work each and every day trading your time for money while slaving away for someone else's benefit. You'll constantly wonder whether you could have made it on your own if you just gave it a shot. The second option is to try and figure everything out yourself. This takes you down a torturous road of frustration and embarrassment as you try and fumble your way through all of the contradictory material on the net. Countless hours and dollars will be wasted as a result. The third option is reserving your spot today by signing up for the Create A Profitable Online Store Course for a small 1-time payment of $1597... and learning the right way to start an online business and not making any mistakes. You already know this is the most logical choice for you! You'll be able to design your business from the ground up knowing that you always have someone there for you to help and ask questions. You'll have the ability to finally perform the activities you love without having to spend 8 hours a day in some dingy office building. 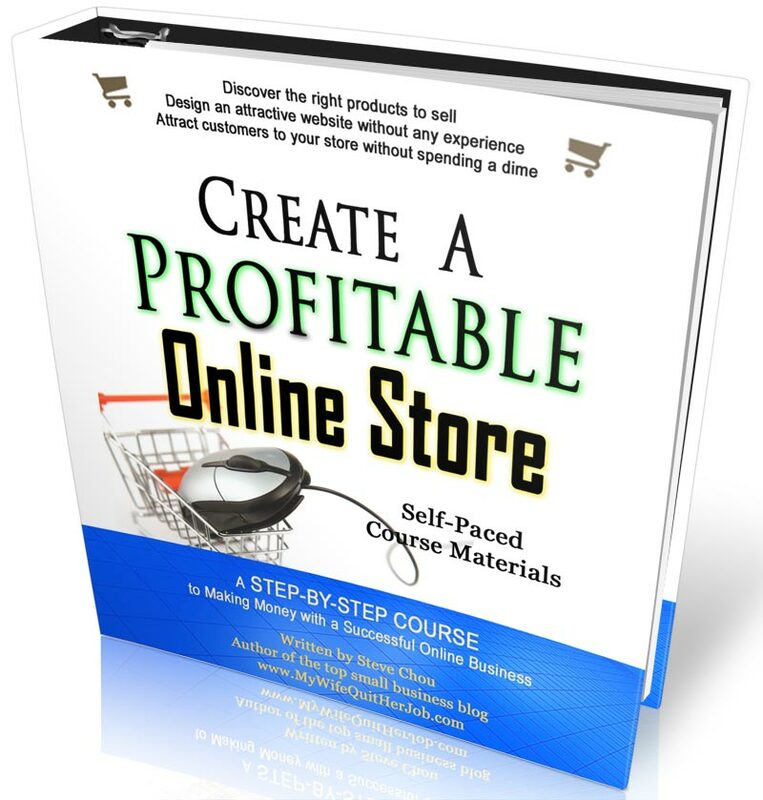 So give the Create A Profitable Online Store course a try. Just do it today. Waiting longer will only and waste more time, more money and cause more frustration. Remember, I run an online store myself so I have to keep up with the latest ecommerce trends and practices..
... you're backed by my 30 day, 100%, absolutely NO risk money-back guarantee where you'll receive every penny back. Author of the Create A Profitable Online Store course.